1851 Ft. Laramie Treaty Territory, Cannon Ball, North Dakota -- Hundreds of tribal members and allies marched onto active and ongoing construction sites of the Dakota Access Pipeline today. 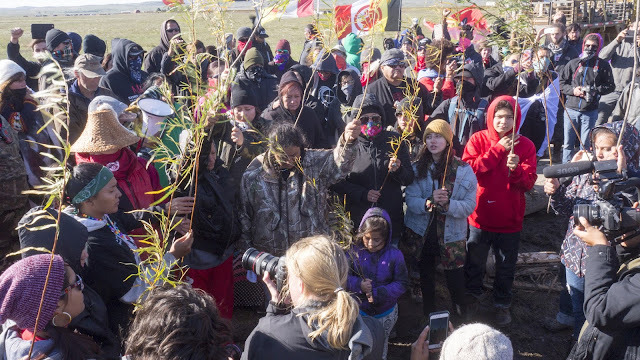 Water protectors brought offerings of prayer, ceremony, drums, and tribal nation flags to construction sites to expose illegal company actions. On September 9, 2016, the United States Army Corps of Engineers issued an order to temporarily cease all work within 20 miles of the Lake Oahe/Missouri River but Dakota Access Pipeline construction crews have used the public's perception of halted activity to aggressively continue destructive construction within the buffer zone. Each morning hundreds of workers employed to lay and weld pipes, underbore roads, and install valve controls travel by the busloads to dozens of sites, working 6-7 days a week. This activity violates both Federal treaties with the Oceti Sakowin and the Obama Administration’s orders to halt construction. “We need to be aware that this 20 mile buffer zone is imaginary. They're still laying pipe- moving it towards us- towards the water we're protecting. Progress on easements is continuing even though they don't consider it construction.” stated Kate Thunderbolt, a water protector. Ms. Thunderbolt went on to emphasize that the action demonstrates how the gathering of over 250 tribes, the largest in decades, represents an ability to escalate the force of peaceful resistance to stop the pipeline. 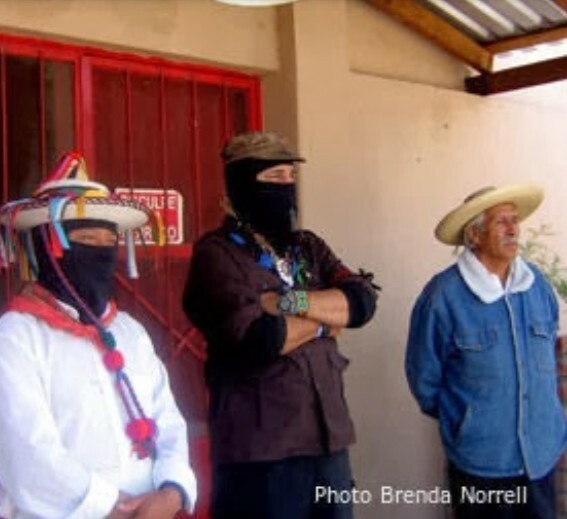 “We want a unity action to bring all the camps within Oceti Sakown together as one. With our unity we will bring the power of the people to stop this oncoming black snake. 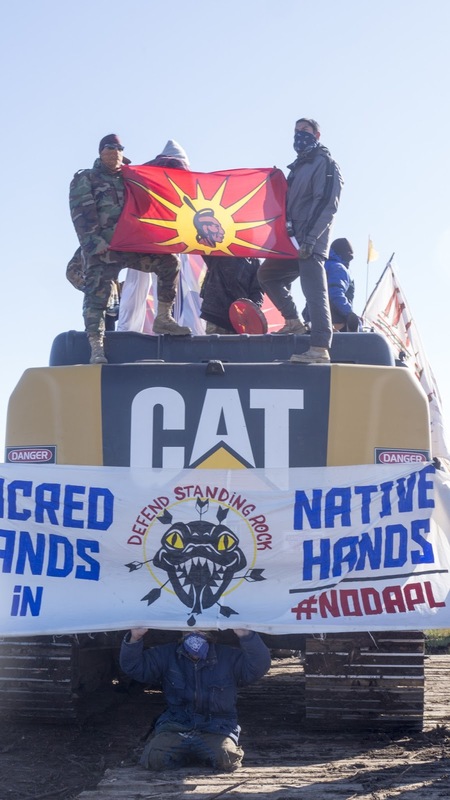 From each camp within Oceti Sakown we have the power to come together to show the world we are in unity in stopping their construction of destruction.” added Thunderbolt. Water protectors have taken it upon themselves to defend their indigenous rights and say if construction continues daily then action to stop construction will also continue daily. 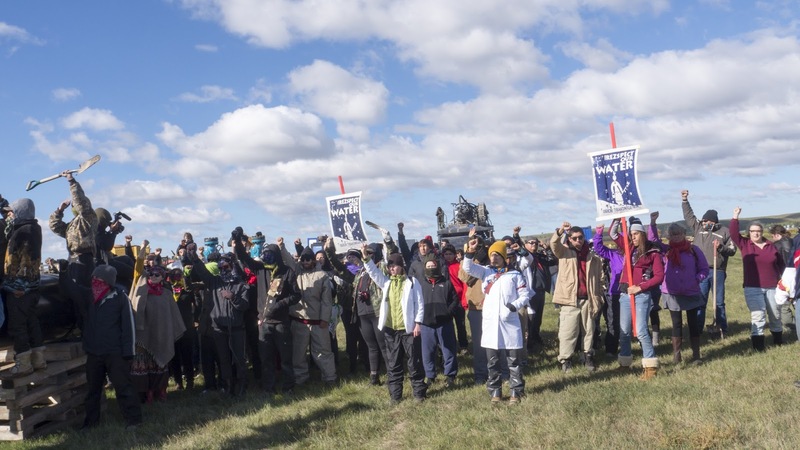 The DC District federal court denied the Standing Rock Sioux Tribe's request for an injunction. Three federal agencies stopped construction on federal land and under river where they had jurisdiction. They requested a voluntary work stoppage by DAPL in 20 mile buffer zone. DAPL ignored the voluntary request. DC Court of Appeals granted an interim injunction including the 20 mile buffer zone on either side of lake Oahe and the river. I love you people, I love the willow trees you are planting. I love the songs. My heart is full of love because you are all brave and true.